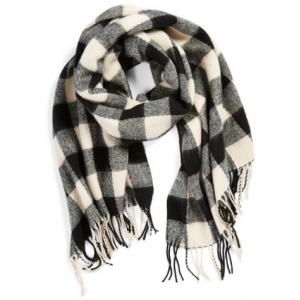 Long, swingy fringe and on-trend Buffalo plaid lend unmistakable style to a supersoft and cozy scarf. Style Name:Bp. Buffalo Plaid Oblong Scarf. Style Number: 1116046. Available in stores.